After a long time, I got a chance to use Dabur Babool toothpaste. Earlier, I had the opinion that Dabur Babool is an economical and ordinary toothpaste. I was not sure that this toothpaste will work or not. Now, after using Dabur Babool toothpaste for more than one month, I can say that it is one of the best toothpastes available in the market. In the new Dabur Babool's toothpaste, we can see the addition of Clove (long) in addition of medical benefits of Babul tree 'Acacia Arabia'. I bought this toothpaste from an online retailer because I wanted to try it after many years. Within few days of use, I realized that it is one the best toothpastes available in the market. From last six months, I was facing few gum and teeth problems like sensitivity and yellowish teeth. I tried many expensive toothpastes to get rid of these problems; however, they didn't give much results and most of teeth problems were resurfacing. Though, initially I don't have much hopes from this toothpaste; however, now after one month of use I can say that it works. 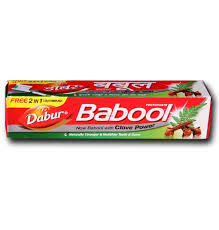 The taste of Dabur Babool toothpaste is very good and it doesn't cause any irritation. 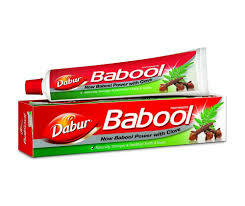 Also, Dabur Babool toothpaste is much economical as compared to other toothpastes on the market. The other point of Dabur Babool toothpaste is that it a natural toothpaste and it don't contain fluoride (which is harmful for our body). Now, I had decided to use this toothpaste for a long time and I will give it 9 stars out of the 10. Earlier, I reviewed Dabur's Promise (anti-cavity toothpaste). I can say that Dabur Babool is slightly better than Dabur Promise toothpaste.